›Dual Sided Mobile Bin Rack, 49 x 37 x 19 in. 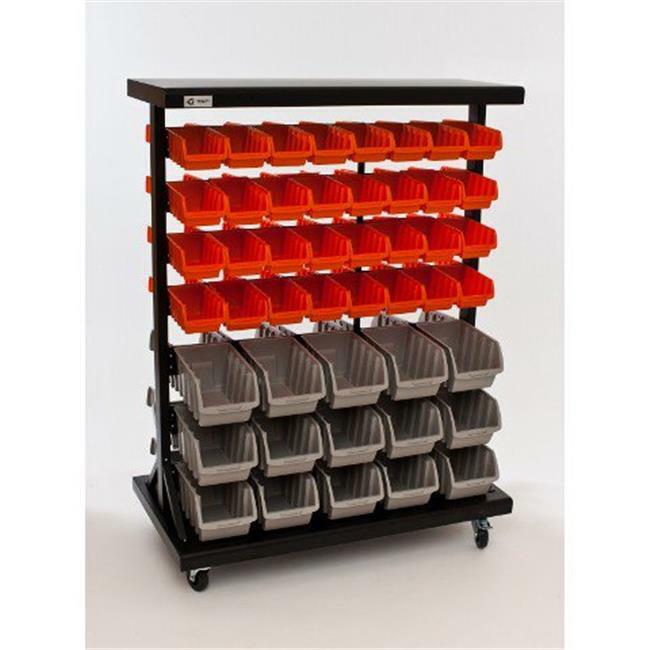 Dual Sided Mobile Bin Rack, 49 x 37 x 19 in. mobile bin rack is versatile and can be used in any garage, store, or workshop. The bin rack is dual-sided can hold up to 94 bins and allows for maximum storage space.